Matt’s birthday was last month and so to keep the tradition going, I made Mrs. Kelm’s chocolate cake…. the BEST birthday cake in our world, and one that has been made over and over again for the past 25 years. Click HERE for the recipe. 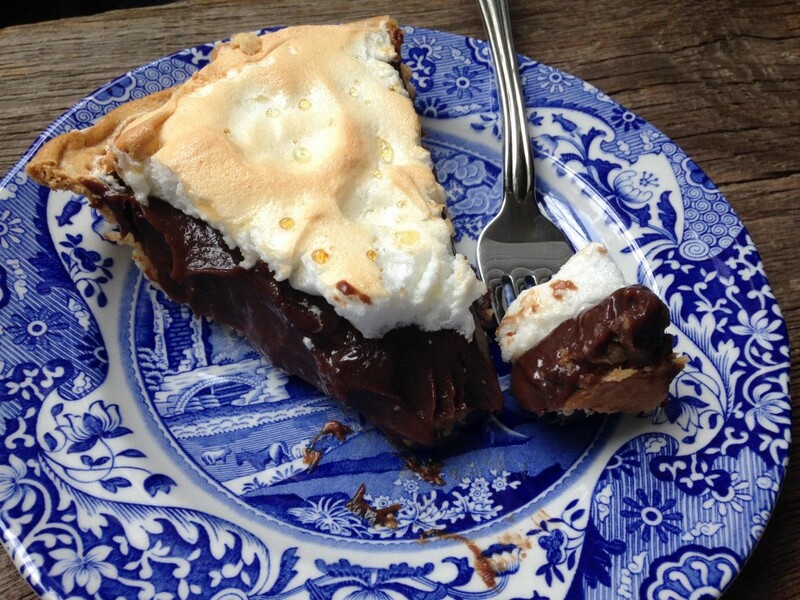 While you can’t beat Mrs. Kelm’s chocolate cake as a birthday cake, you can’t beat Mallory’s chocolate meringue pie as a birthday pie! 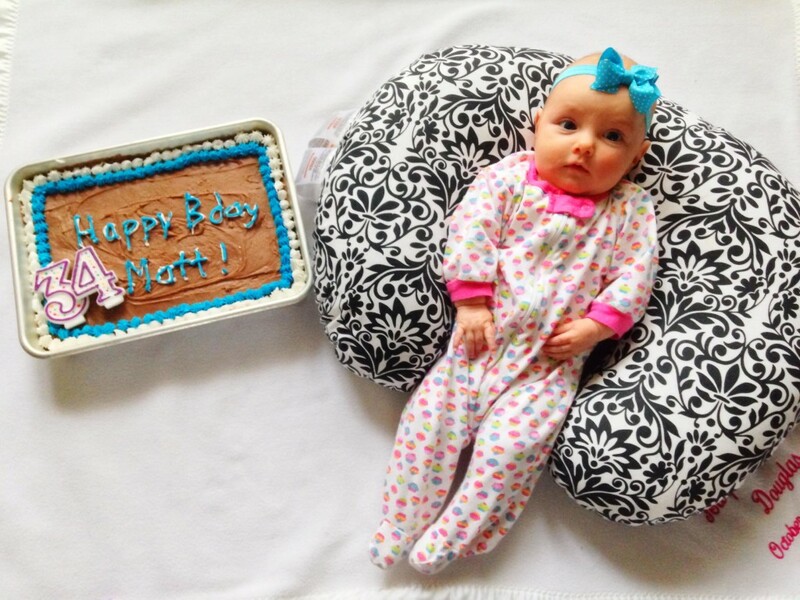 Harper representing a new generation of lying down for a photo next to Mrs. Kelm’s chocolate birthday cake. My dad used to have my sister and I lie down next to our Mrs. Kelm’s chocolate cake every year for our birthdays. 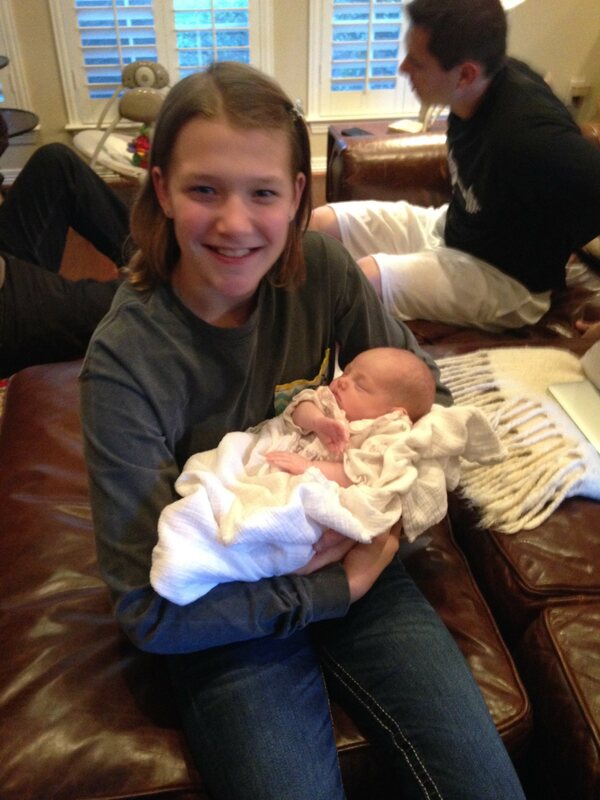 Mallory is a sweet friend of ours from church who came to see Harper when Harper was just a few weeks old. 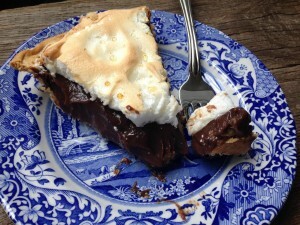 Mallory also made us a homemade chocolate meringue pie which was to die for. It’s hard to believe Mallory is only in the sixth grade and only just got her very first Kitchen Aid stand mixer for Christmas. You’d have thought she had been baking for years! 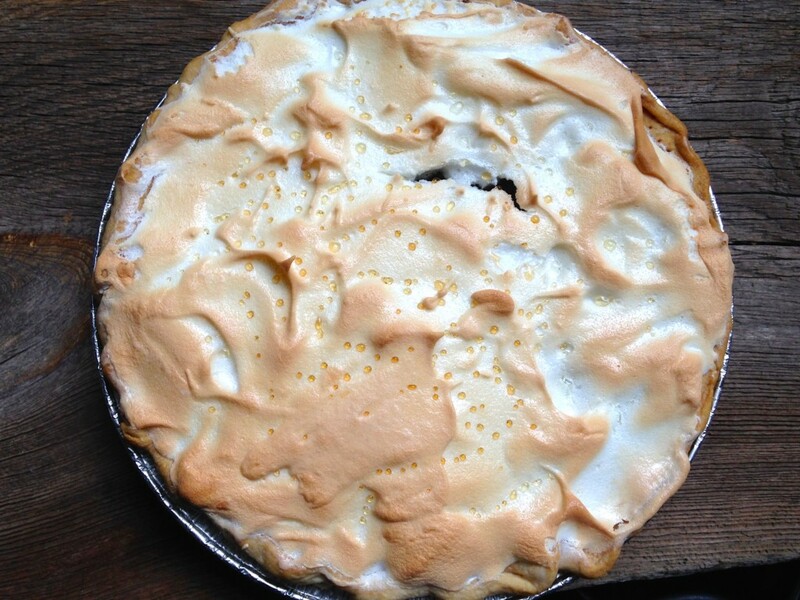 The first time she made us her chocolate meringue pie, she delivered it to us pipping hot and just out of the oven. Matt has no patience for waiting for desserts to cool, so he dug right in, and thus I wasn’t able to get a good picture for the blog. We made it known to Mallory how good her pie was, so when she saw Matt’s birthday announced in the church bulletin, she decided to surprise him and bake another chocolate pie! 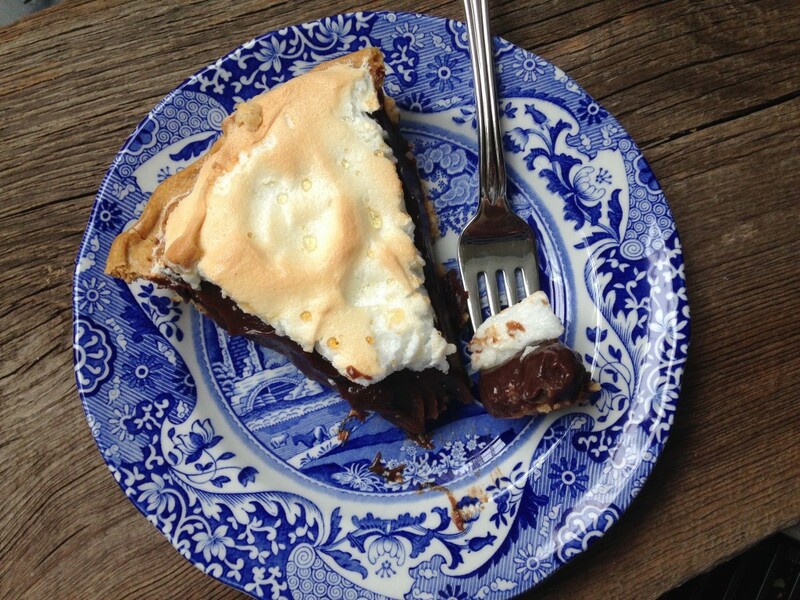 Enjoy, and thank you Mallory for sharing your homemade chocolate meringue pie with us. I only hope I can make it as well as you can! Look at that delicious meringue topping! TO MAKE THE CHOCOLATE PIE: Mix the flour, milk, sugar, cocoa and egg yolks over low heat until thick, stirring frequently in a pot. Remove heat and add vanilla and butter, mix well. TO MAKE THE MERINGUE: Preheat oven to 400 degrees F. Combine egg whites and sugar. Add egg whites one at a time. It will thicken up. Beat until it forms stiff white peaks. Add to pie and bake until golden brown, about 15-16 minutes.